Not an average day for some of our professionals! 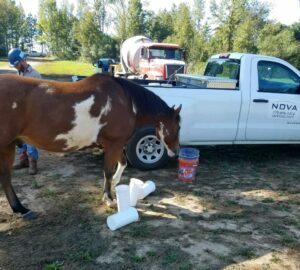 NOVA’s staff encountered some really curious horses on a project site in Georgia. These beauties were very interested in our cylinders and actually knocked them over a few times.